Please click your preferred available date to submit a request. Your Appointment Form will be sent to Erik's assistant, Bonny Murphy. Erik Chickedantz graduated from the U.S. Military Academy, West Point, NY in 1963. During 1963-1969, he served as an airborne infantry officer in the U.S. Army which included duty tours with the 101st Airborne Division; Vietnamese Airborne Division and 82d Airborne Division. 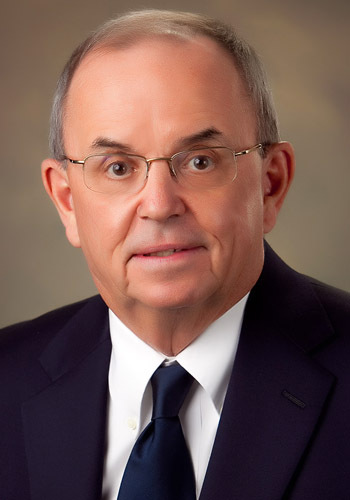 Following his graduation from the University of Michigan Law School in 1971, he began his law practice in 1972 and currently is a member of Burt, Blee, Dixon, Sutton & Bloom, LLP. Since the early 1990's, his primary areas of practice include alternative dispute resolution processes involving mediation and arbitration during which he has conducted in excess of 3000 mediations.. He also has practiced for many years in the area of civil litigation including personal injury litigation, insurance defense litigation, and commercial litigation involving construction and employment litigation.